An unforgettable helicopter trip over Santorini. 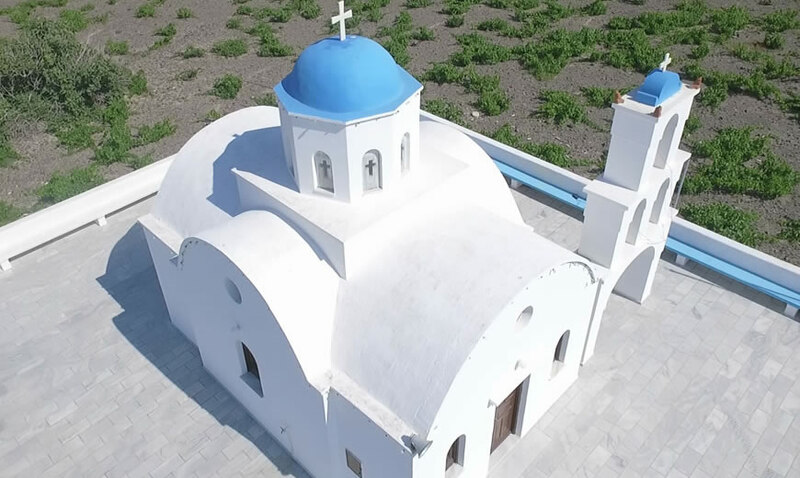 Soar above the picturesque landscapes of Santorini and the surrounding sea. 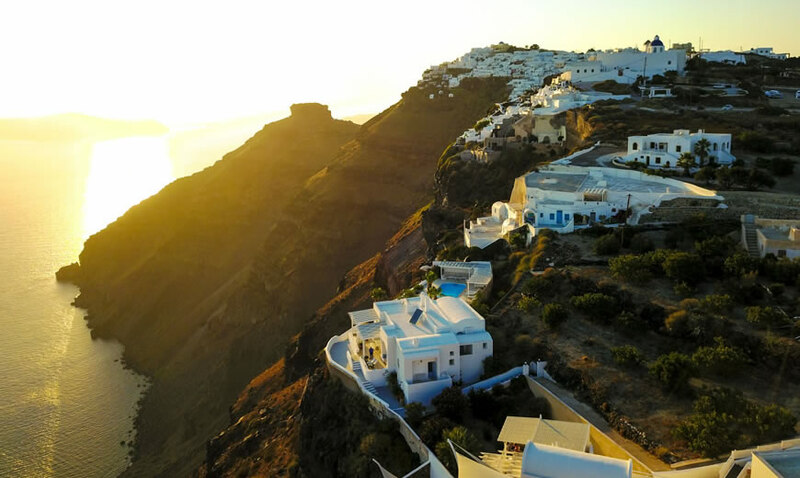 Spot the volcanic formations of the caldera and the charming, white-washed villages like Fira and Oia on a thrilling ride over the Aegean gem. The experience of taking off in a helicopter is like no other. As you rise vertically, the ground shrinks away and you lift off into the blue skies. Head out over the azure waters of the Aegean Sea toward Santorini’s half-submerged caldera. Learn about the fascinating geological history of this former island, which collapsed following an ancient eruption, and catch sight of the nearby active volcano-Nea Kameni. Explore one of “the once in a life time must see” destinations of the world from above. See the beauty of the island that is being ranked as the top in Europe. The tour offers breathtaking views of the caldera as well of the volcano island, a semi active crater with smoke that comes from its ground. Approximately 10 minutes flight time – 3 seats minimum. 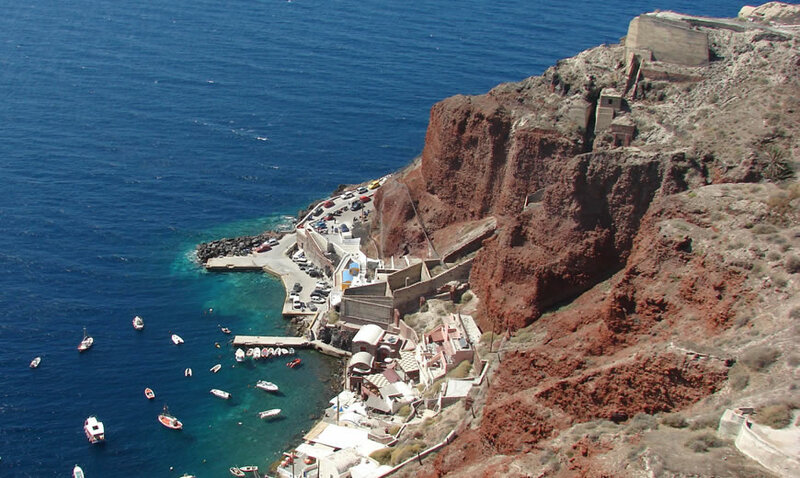 A combination of our Caldera Tour with a spectacular flight over the colorful beaches of Santorini. 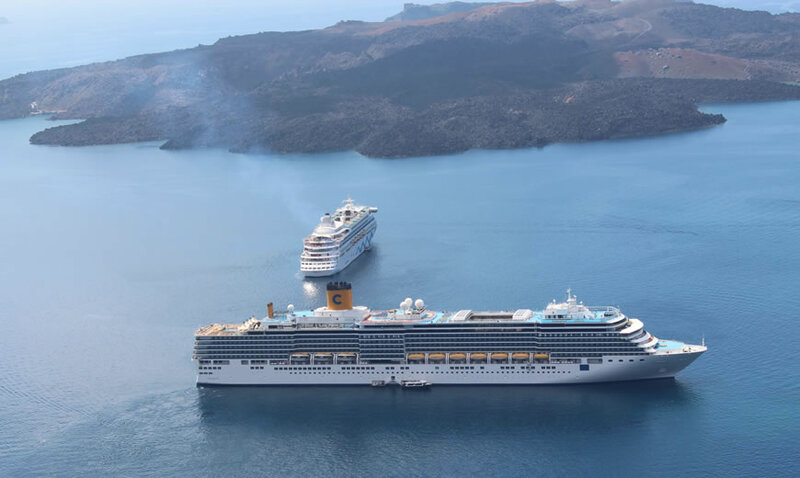 The tour offers stunning views of the Caldera and the volcano as well as a detailed exploration of the most magnificent volcanic beaches of the island. Approximately 20 minutes flight time – 3 seats minimum. 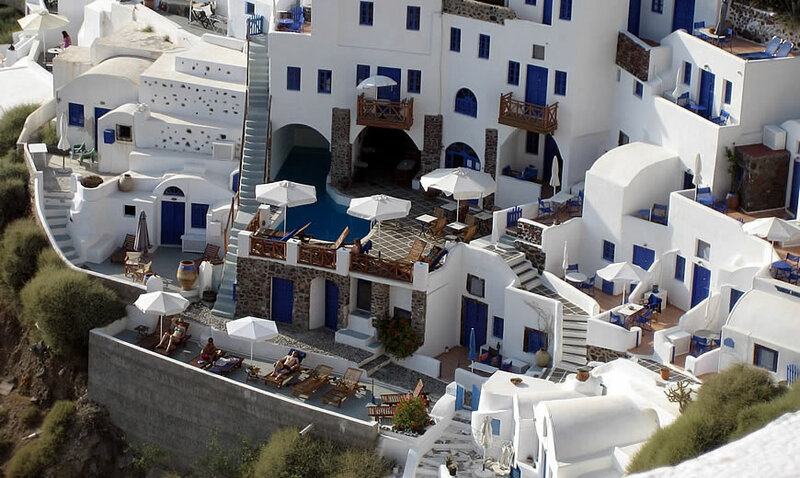 This is the tour that gives the chance to visit the major sights of Santorini. 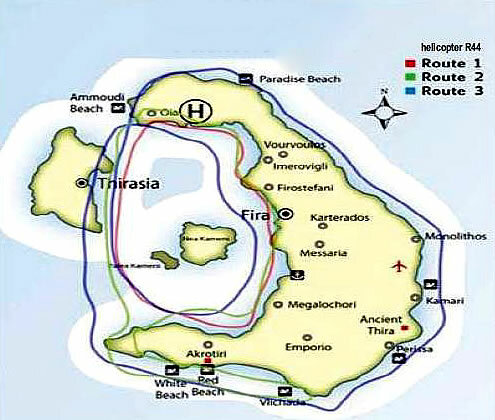 We fly over Megalohori and its famous vineyards on our way to the amazing colorful beaches of the island. 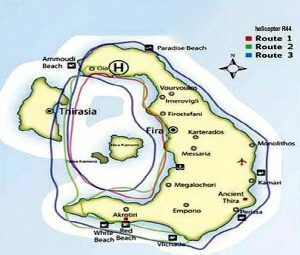 We soar over Nea Kameni to appreciate the spectacular views of the Volcano and the famous Caldera, then fly over Thirasia, part of the ancient Stroggili, with its picturesque houses painted in various colors. 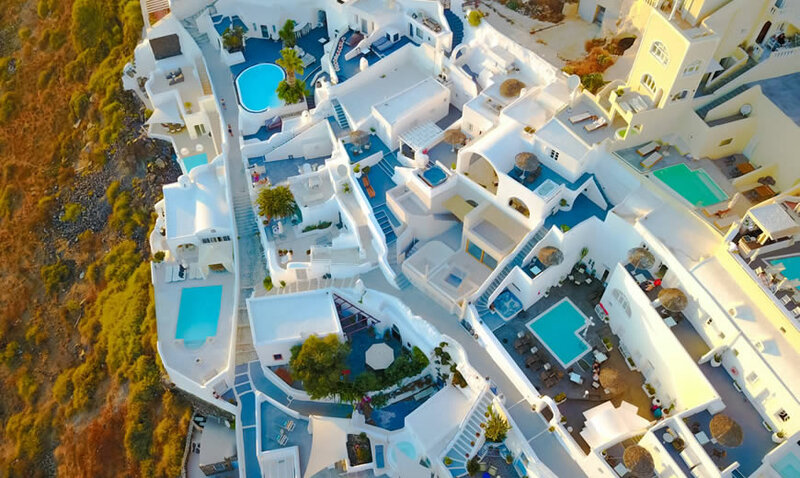 Next destination is Oia, the most famous of all Santorini villages with its charming houses in narrow streets, blue domed churches and sunbathed verandas. If you are looking for an amazing ride and you do not want to miss anything of Santorini, this tour is the perfect choice for you! Approximately 30 minutes flight time – 3 seats minimum.